Furnished with more than 60 years of experience and history, the Abbey Bookbindery has worked on a huge number of prestigious and important books. In 2012, we bound a book celebrating the 200th birthday of Charles Dickens, which was presented to Her Majesty Queen Elizabeth II. 3o years earlier, we bound the Order of Service for Pope John Paul II’s visit to Westminster Cathedral. Our customers range from private individuals to long-established London clubs to major independent publishers. From our bindery in Deepcut, Camberley, we have attracted customers from as far afield as New Zealand. We even bound a book for Genesis keyboardist and progressive rock legend, Tony Banks. Founded in 1955 by Father Anscar Neilson at St Michael’s Abbey in Farnborough, Hampshire, the Abbey Bookbindery enjoys an illustrious history. In our earliest days, the monks at the Abbey carried out the binding work, assisted by one or two secular craftsmen. Eventually the bindery was staffed entirely by secular craftsmen, although close links were retained with the monastic community at all times. In 1996, after 40 years of service, the Abbey sold the bindery to the craftsmen who had devoted their entire working lives to it. Although the bindery is no longer within the Abbey grounds, the work is continued to the same exacting standards set by the monks half a century earlier. 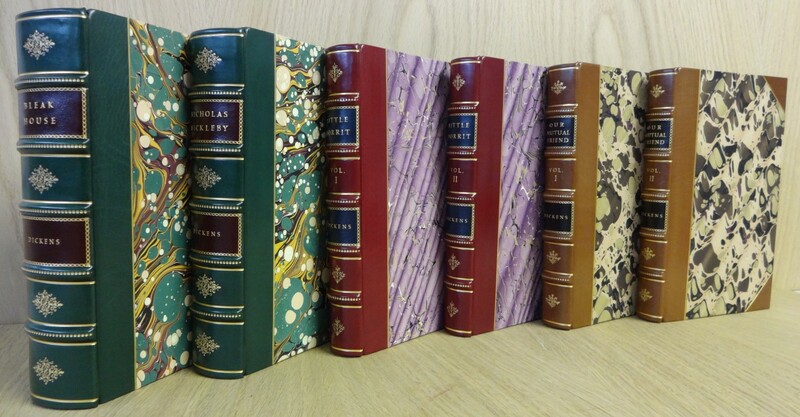 All books, whether ancient or modern, receive the individual care and attention of craftsmen who really know how to judge a book by its cover! Although Father Anscar is no longer with us, his picture hangs on the wall, keeping watch over the bindery, making sure we never forget our roots. Our books are all handbound, using very little modern machinery and relying instead on traditional methods passed down over centuries. We have a guillotine, a sewing machine and a kettle! 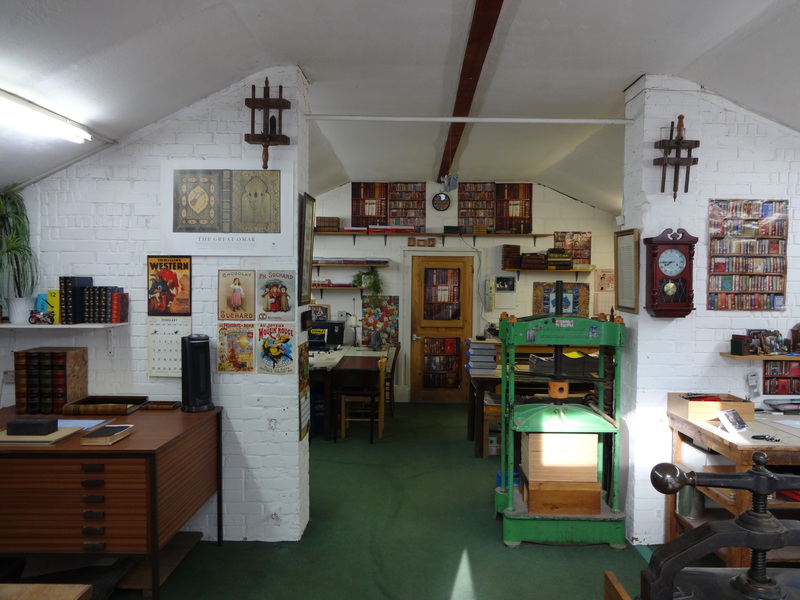 Beyond the books, the bindery itself could almost be called a museum of industrial history. A lot of the equipment we use is more than 75 years old, with some of it dating back to the turn of the 20th century, and yet it performs as well as it always did. Our 80 year old guillotine is still capable of cutting through five telephone directories in one stroke. The Abbey Bookbindery is now owned and managed by Paul Berry, a qualified bookbinder with 45 years’ service at the bindery. 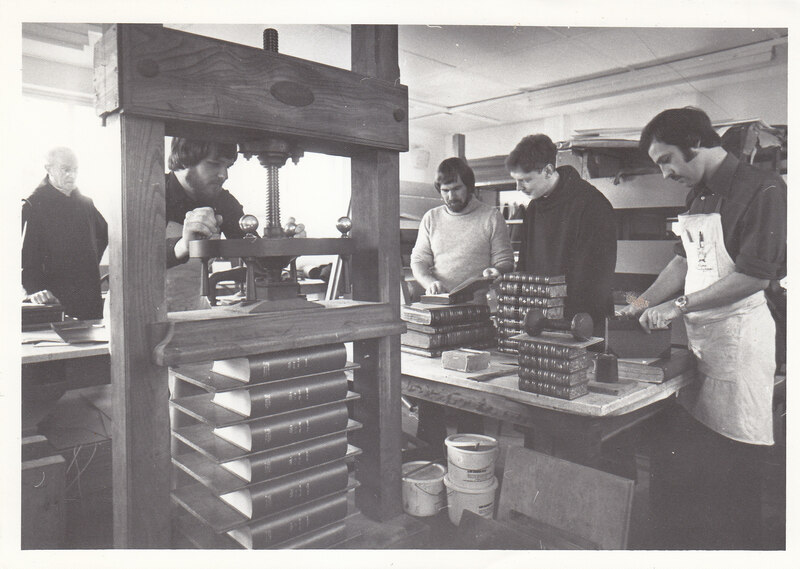 Starting his career in 1973, Paul first came into contact with the bindery through the Abbey Choir. He successfully completed a 5-year apprenticeship at Guildford College and obtained an Advanced Craft Certificate in Bookbinding with the City and Guilds of London Institute. Since then, his love of bookbinding has only grown. Today he continues to be committed to the craft and to utilising his honed skills to deliver the highest quality work to his customers.